John Churchville's reflections, resources and musings about music and music education. Go with the flow. 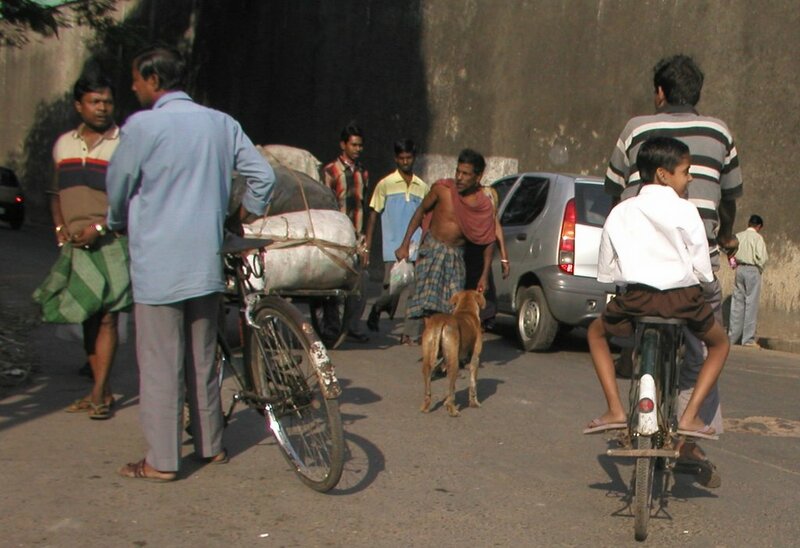 That is the best advice someone could give to a new visitor to India. Everything flows here like water down a river. The traffic is a perfect example. At first, you might think it is complete chaos and mayhem. Bikes, pedestrians, animals, cars, and trucks all use the same road for travel and no one seems to pay attention to any kind of centerline or traffic light. You would think that there would be accidents all over, but somehow everything just flows along without a problem. 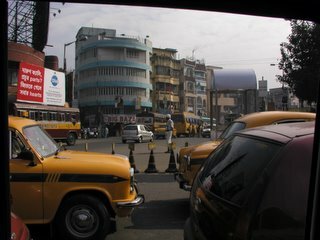 After breakfast I took a cab and went over to Samarji’s house at 9 a.m. I wanted to discuss the options for bringing back multiple sets of tabla to the U.S. We began talking about it and he got a phone call, then another, then the flower delivery guy came by, then another phone call, then his accountant, then another phone call. Now it was 1 p.m. and we finally resumed our conversation. Another phone call interrupted us and it was back to waiting again. In the meantime I burned some C.D. 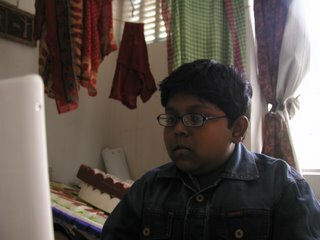 of pictures and music, and I showed Samarji’s son my computer. He loved the games, especially Tony Hawk Pro Skater 4. He must have played it for 3 hours. At around 2 p.m. Samarji said that he will take a shower and we will have lunch. I practiced for just a bit as he cleaned up for the show and then had a nice lunch. I headed back to the mission at 3 p.m. for a phone call home and to get ready for the show. The flow was slow today, which was good because my feet are weary from all the walking I have been doing lately. Once again the festival was phenomenal. 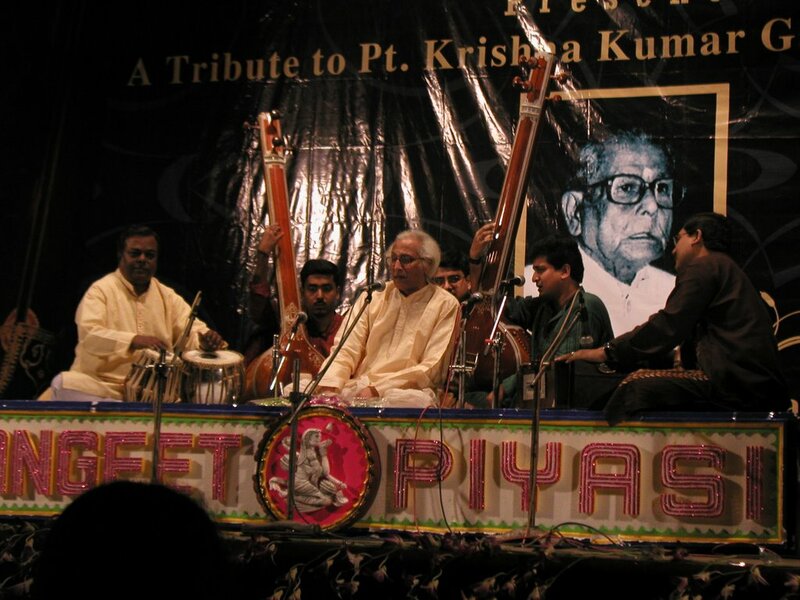 The program last night consisted of two vocalists, one sarod, and one tabla performance. 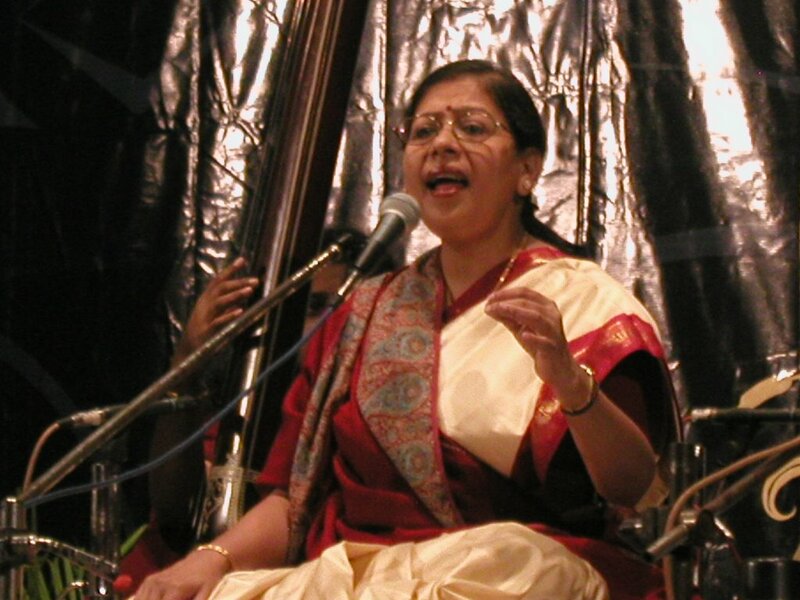 The first vocalist was Shubhra Guha. She had the sweetest voice I have heard all week. Her technical skill was on the same level as Samaresh Chowdhury from the night before, but her delivery was subtle and sweet. Of all the Indian vocalists I have seen, she has been the most pleasant to listen to. The second performer was Debojyoti Bose on the sarod. 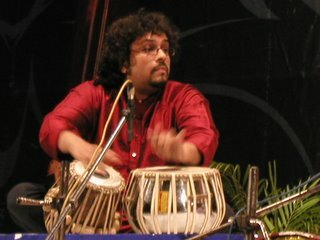 I was excited because Bikram Ghosh was the tabla player accompanying him. Bikram Gosh was one of the few names that I had heard of before I came here. He lived up to every expectation. Not only was he powerful and blazingly fast, but his stage presence was commanding and fun to watch. 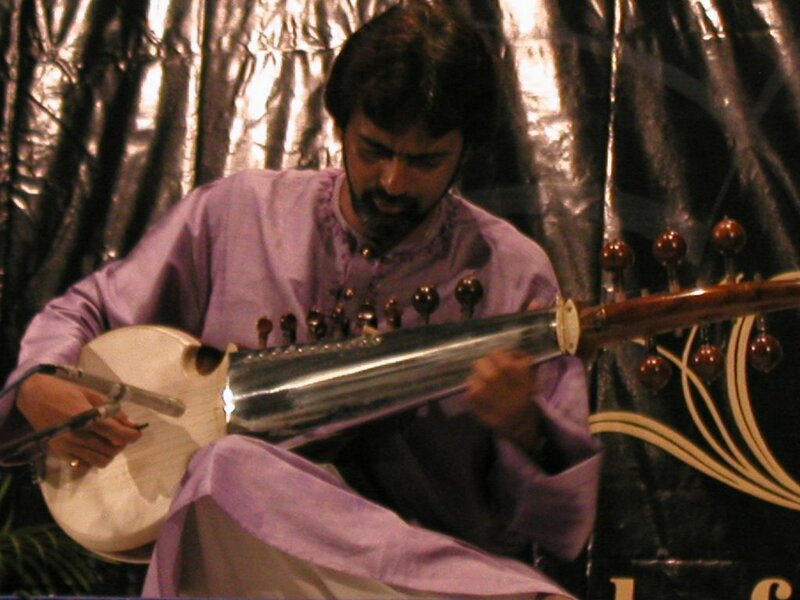 The sarod player was excellent too, but my eyes were glued to Bikram’s hands almost the whole time. Their ending tihai was one of the best I have heard all weekend. It was long, fast, and perfectly in sync. When that performance was over I went to the restaurant next door with George and Manu to get a quick bite to eat. The third performance was another vocalist, and we thought we could eat and be back in time to catch a bit of it. We were all very hungry and wanted to feel good for the tabla solo at the end. We ate and got back just in time to see the end of the performance. 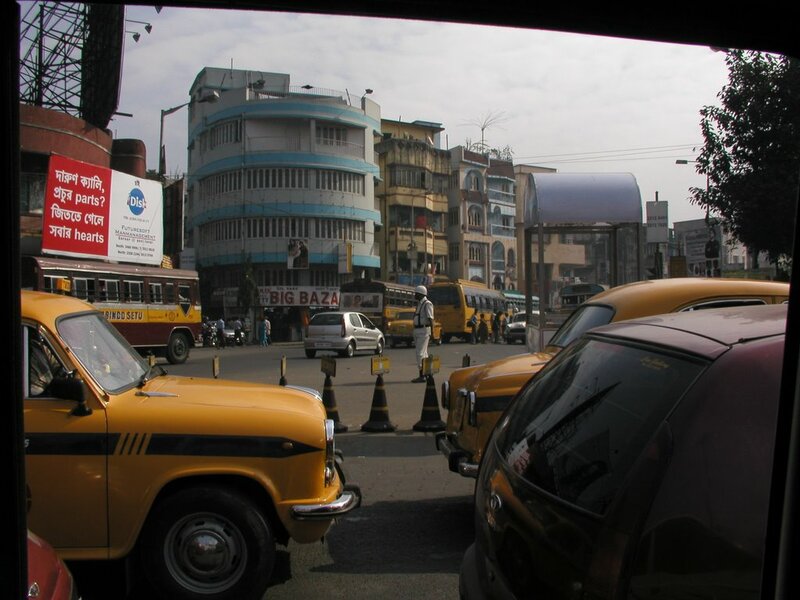 It was an older man named Amiyo Ranjan Banerjee. He sounded great and was very animated on stage. The tabla player was Sanju Sahai. 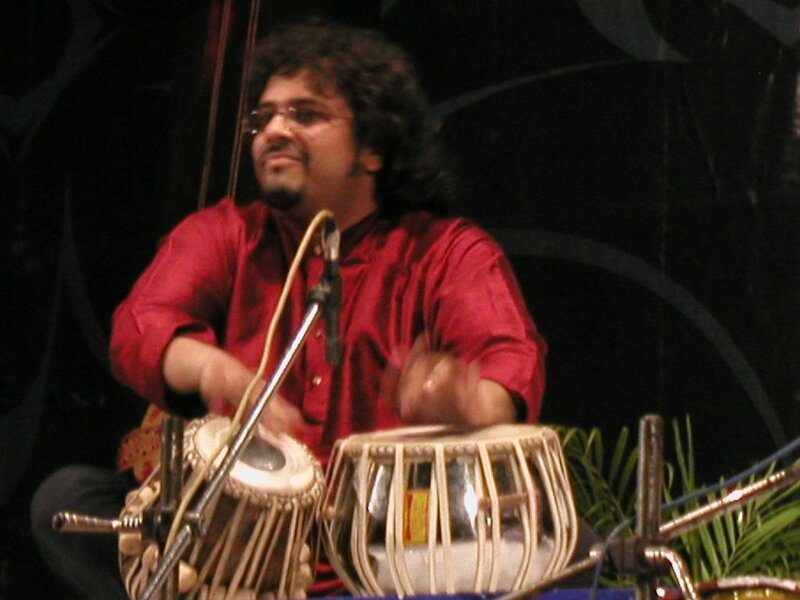 He is the nephew of one of the great living tabla players Sharda Sahai. They were scheduled to perform together but by doctors orders, Sharda could not make the trip from England. The show went on and it ended up as one of my favorites. He seemed to have the widest array of compositions that all sounded very unique to my ears. 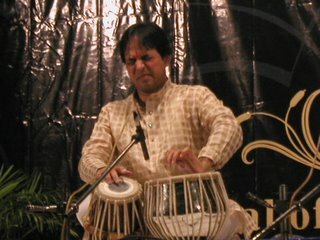 As all the other tabla soloist, his speed and clarity were amazing. 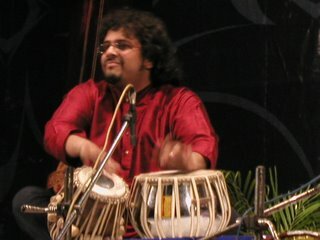 His demeanor on stage was calm and light, but when he played, the tabla seemed to roar. When he finished, George stood up and asked if he would play a one handed composition. He made a joke and then played a great little chakardar with just his right hand. It was a nice ending to a good day. Founding member of Indian Fusion group Sumkali, Music Director for Ann Arbor Kirtan, Producer, Engineer, Husband and Father of two. The End of a Great Year, Ready for 2006! Sangeet Piyasi Festival Day 1...Wow!